With the release of Windows 10 version 1809, Microsoft is finally addressing the issue of accidentally removing USB drive or shutting down your computer without ejecting it first. Microsoft is changing the default setting that is applied to USB drives and other removable media. The Redmond-based tech firm is offering two main policies regarding removal of external storage devices: Quick Removal and Better Performance. Starting with Windows 10 version 1809, ‘Quick removal’ will be the default policy on Microsoft Windows 10, which in earlier versions of Windows was ‘Better performance,’ states the updated Microsoft support page. However, it is still possible to change the policy setting for each external device. The policy continues to remain in effect until you disconnect the device and then connect it again to the same computer port. 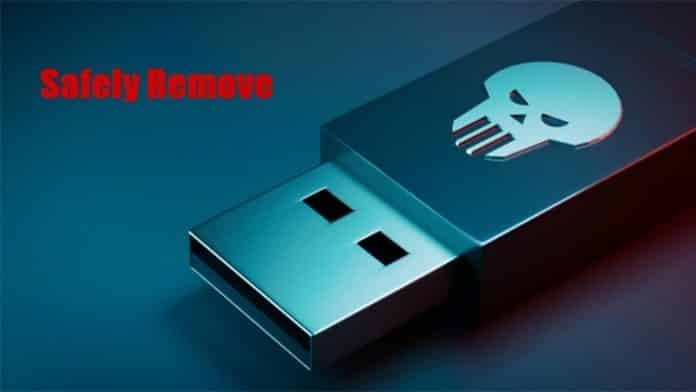 Quick Removal, as the name suggests, allows you to safely eject a USB or Thunderbolt-enabled external drive at any time by bypassing Safely Remove Hardware process. However, to do this, Windows cannot cache disk write operations. This may even lower the performance of the system. On the other hand, Better performance policy manages storage operations in a manner that improves system performance. In this process, Windows can cache write operations to the external device. However, you must use the Safely Remove Hardware process to remove the external drive, or else you risk losing data. If you select Better performance, it is recommended that you also select Enable to write caching on the device, adds Microsoft support page. The change in default policy for an external storage device in Windows 10 will definitely be welcomed by many seasoned Windows users who can now simply skip the Safely Remove Hardware process without getting annoyed or fear losing data.